If you ever wanted to build an online donations form with Gravity Forms and bill people through DPS (apparently quite a popular payment gateway in New Zealand, also available in Australia and other countries), you now can thanks to some kind sponsorship. Using Payment Express (PxPay), you can have your form finish with a credit card payment, and you don’t even need to by an SSL certificate for your website. Click for more details. 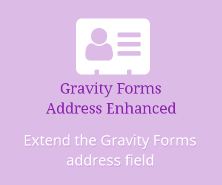 Gravity Forms is a great way to build all sorts of forms in WordPress. It can be so simple that non-programmers can easily build their own basic forms. It’s also incredibly flexible so programmers can extend it in myriad ways, even by adding some complex custom fields of their own. But as usual, there’s a trade-off — ease of use for non-programmers means lots of hoops to jump for programmers. Here’s an overview of how I built some fairly complex compound fields for a custom application using Gravity Forms.